With constant advancements in technology, and the efficiency and global reach of transportation, we’ve become a world on the move. And whether as an ironic prop in a slapstick movie, or in use by a road-weary business person who swears by them, U-shaped travel pillows have cemented themselves as an iconic symbol in travel culture. But while few people who have ever taken a long flight or train ride haven’t seen them, there are plenty of individuals who have never considered their benefits, or actively refuse to use one due to their perception of how they look. The reality though, is that travel pillows have hung around as long as they have for a few reasons, and the biggest of which is that they can help make lengthy traveling experiences easier, more relaxing, and ultimately, more enjoyable. Travel can often interfere with rest, particularly when traveling for business, as people try to pack as many things as possible into a small window of time. This puts rest and sleep at a premium, as it is often sacrificed at the expense of activity, be it work meetings or vacation sightseeing. When a leisurely pace isn’t possible while traveling, the only alternative is to optimize the time you have, and that goes for rest, as well as activity. Inactive hours spent on a plane, train, bus, or car while traveling represent the best time to catch up on sleep. Trying to get sleep between destinations is as old as travel itself, but so are the reasons people dread it. Tight necks, sore shoulders, and aching backs are far too common, as we try to get comfortable in tight, upright positions we would never sleep in at home. This is exacerbated further by the movement of transportation, as your body can slide out of position after you’ve fallen asleep, due to changes in speed and direction. So even if you find a comfortable position, you can wake up with a tight neck that lingers for days. Prevention of this scenario is exactly what a travel pillow offers. Holding the head and neck in alignment, even while you’re asleep, can help minimize the chance of aches and soreness while sleeping on the road, helping you get refreshing rest that lets you enjoy your trip, or perform at meetings or conferences. This is done through the traditional U-shape design that rests behind the neck and extends forward on either side. 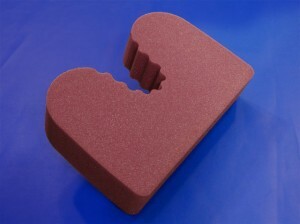 This U-shape offers multiple benefits. Firstly, the padding behind the neck helps you maintain upper spinal alignment by keeping your neck forward and the head back. 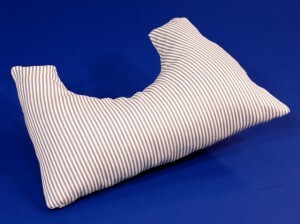 Without this support, the weight of the head tends to drop forward, pushing the neck back. This position winds up being a source for tension and tightness that can last even beyond your trip. With the cushioning behind the neck, its curve is maintained, your head hits the headrest at the crown, and your face remains straight forward. Aligned posture is hard to maintain once we aren’t able to consciously maintain a position, so travel pillows give us that support. Side padding is the other benefit of traveling pillows. Other than dropping your chin when tilting forward, the other common discomfort-inducing issue is your head rolling to one side or another. This causes tension from your neck down into your shoulders, while the side padding of travel pillows work like bumpers to keep your head from rolling. Not only does this help relieve potential side-to-side strain, the passenger next to you will be grateful, as you won’t wind up snoring on their shoulder. Today, different wrap style pillows exist that offer more or less side-padding extension, so you can select a variety that addresses your needs, whether you just need a little padding, or desire complete stability. In addition to size, travel pillows are also made from different materials today. The Foam Factory offers neck and travel-style pillows made from solid, contour-cut foam, shredded foam pillows, and even polyester fiberfill. While you can select a pillow design that meets your support needs, you can also pick a pillow material that meets your comfort needs! Often, these pillows are economical in size, and compressible enough to fit in luggage, so bringing them on trips doesn’t mean you have to sacrifice space, or spend more on extra baggage. While neck pillows, eye masks, noise-cancelling headphones, and slippers have become the classic caricature of a traveler, there is a reason each of those items have become so tied to the idea of travel. Each offers a useful benefit to a weary road warrior, and when avoiding discomfort and staying rested is a priority for you, travel pillows can help you achieve that.